This elegant quartz watch with its fashionable vintage look combines brown calfskin with rose gold. The silver-coloured dial has a sunray finish - a decorative finish which causes the light falling on the watch to shift around the dial according to the angle of reflection. 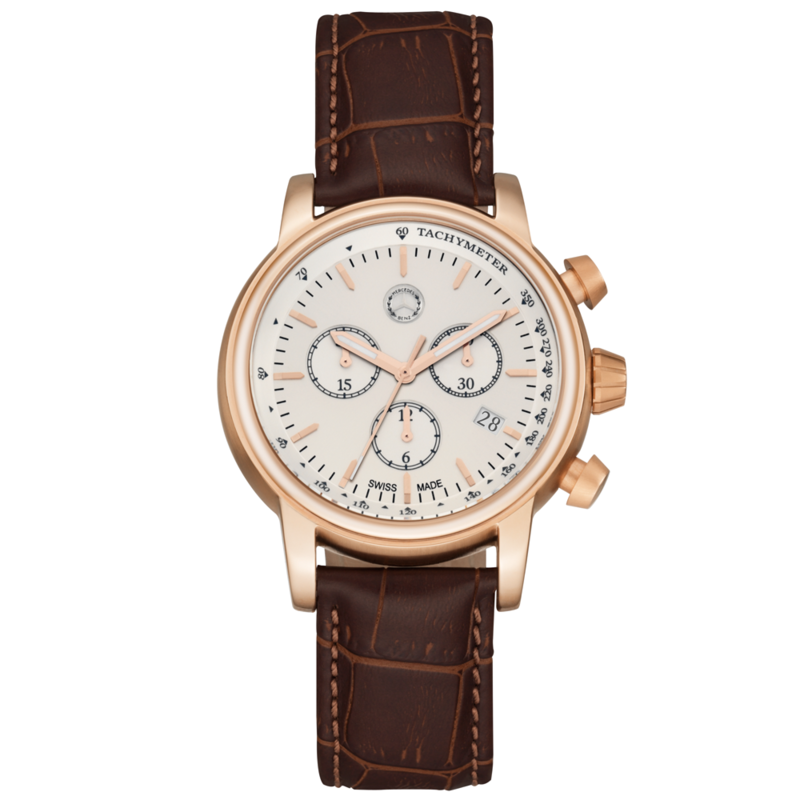 The hour markers and hands are rose gold-coloured, as is the stainless steel case, which has a rose gold-coloured PVD finish. The watch has a hardened mineral crystal with an anti-reflective coating. The brown calfskin strap is embossed with an attractive crocodile skin design.